Crazy Shenanigans: We're only 18 Days from Christmas! I have a little secret... this is a scheduled post. I'm on the road today to see one of my very best friends! Some of you actually know her IRL. However, I'm continuing with my co-hosting duties of Star's 25 Days to Christmas! Today's topic is the Best Gift You've Received. It took me a long time to figure this one out. Like, I literally sat and stared at my computer screen for a good 15 minutes, racking my brain trying to figure it out. 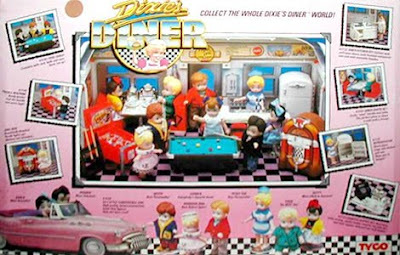 Then finally it dawned on me... my 1988 Dixie Diner Toy Set. I played with this set for hours and hours as a kid. I can remember lugging this thing every where. It was one of my favorite toys from my childhood. I still have it and it's in my closet! I know a lot of people are going to think why this toy? Well because it was fun and it brought me a lot of happiness as a child, so why not?! What's been your favorite gift? I think the best gifts are the ones that make you happy too! I remember as a little girl, I always looked forward to opening gifts, because they were always toys and dolls! Have a great day! Have a great time in Florida! And that play set looks so cute and retro, haha! 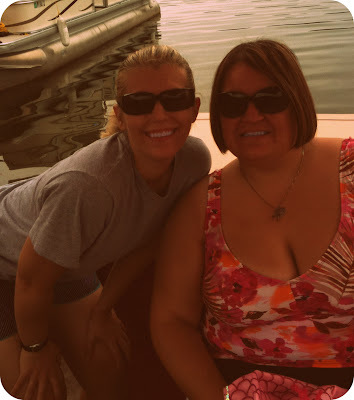 Have fun with your BBF! I think my favorite gift was always Barbies, I would look for that shape of box! Where is this secret road trip taking you?! That's so fun you'll get to see a good friend. Enjoy your time together. Best gift I ever got was a Sega Genisis. (Come on, it was the coolest!) My mom didn't like video games and for years had said no to a Nintendo. But when I was 11 years old, she surprised my brother and I will the best gift ever!!! 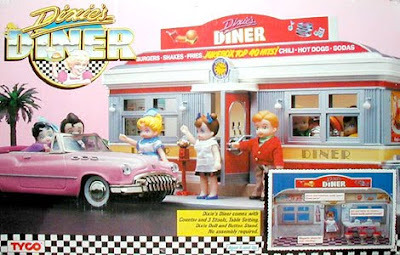 omg I had Dixie's Diner too! I loved playing with it and it may still be packed away in a closet here somewhere! Have fun on your trip! That's a hard one...I can't even think of the best gift I've received for Christmas. Maybe my coat that I've had for 3 years and love love love. Isn't it crazy how much of our childhood we love and remember? I got a cell phone when I was about 15... And my parents had it ring inside the package. I was pretty stoked :) Other than that I did really love my Barbie RV! That toy looks awesome! I was big on my little ponys!